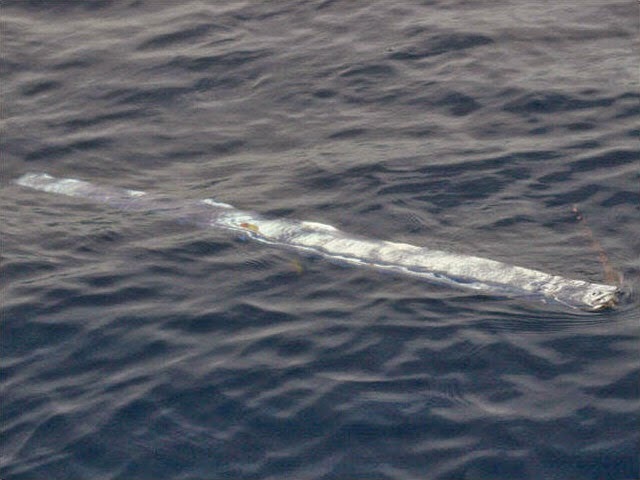 Labels: Curiosity Animals, Noe, seas and rivers, seas and rivers. 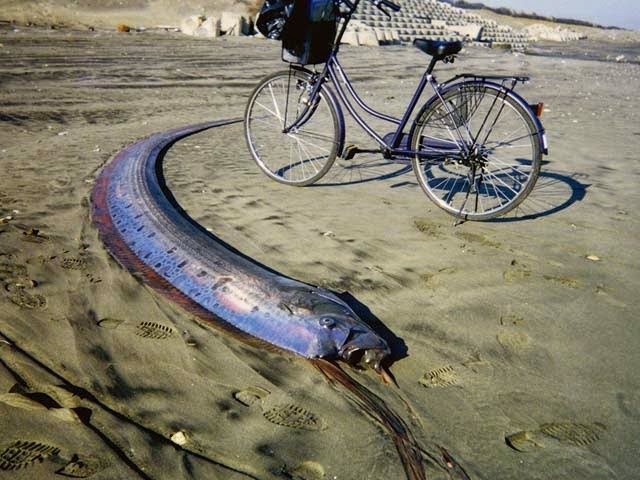 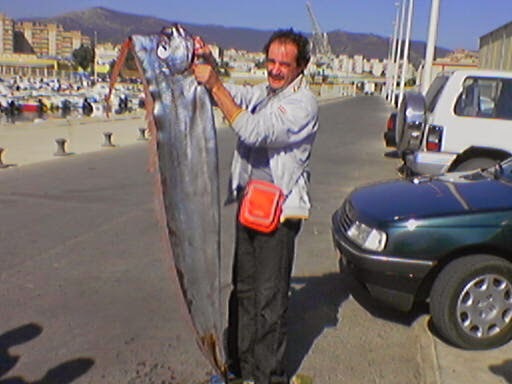 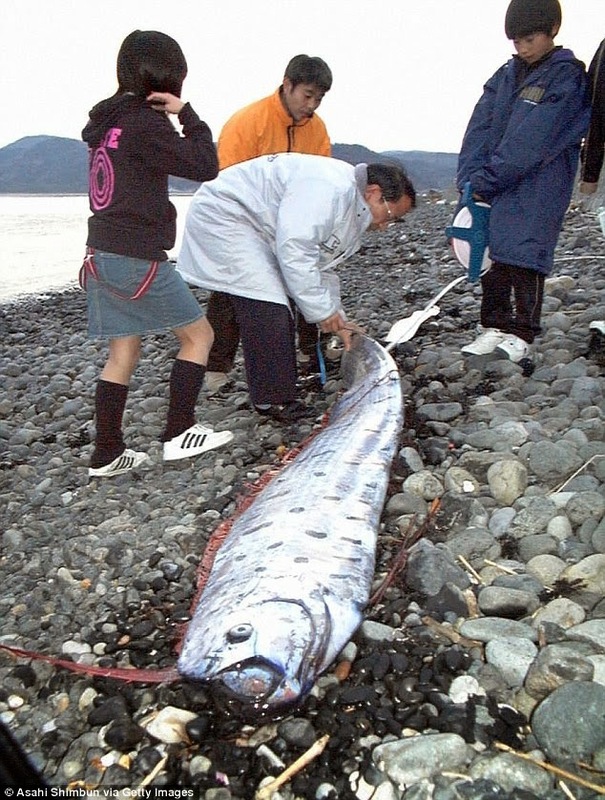 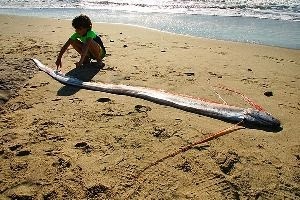 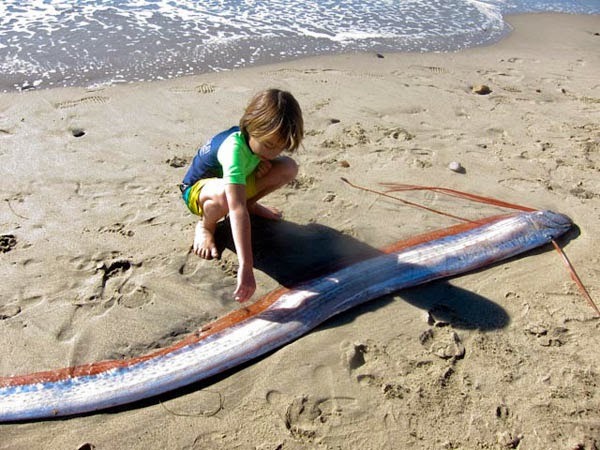 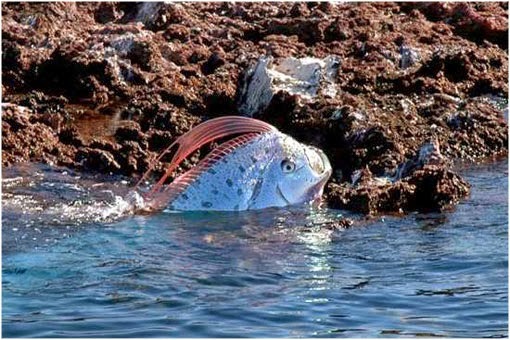 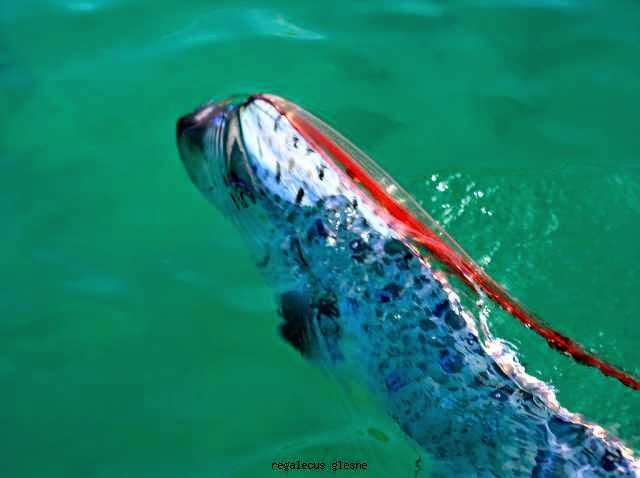 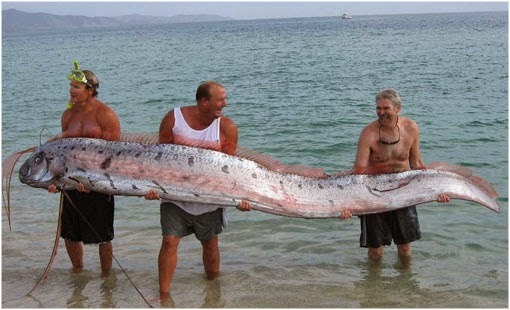 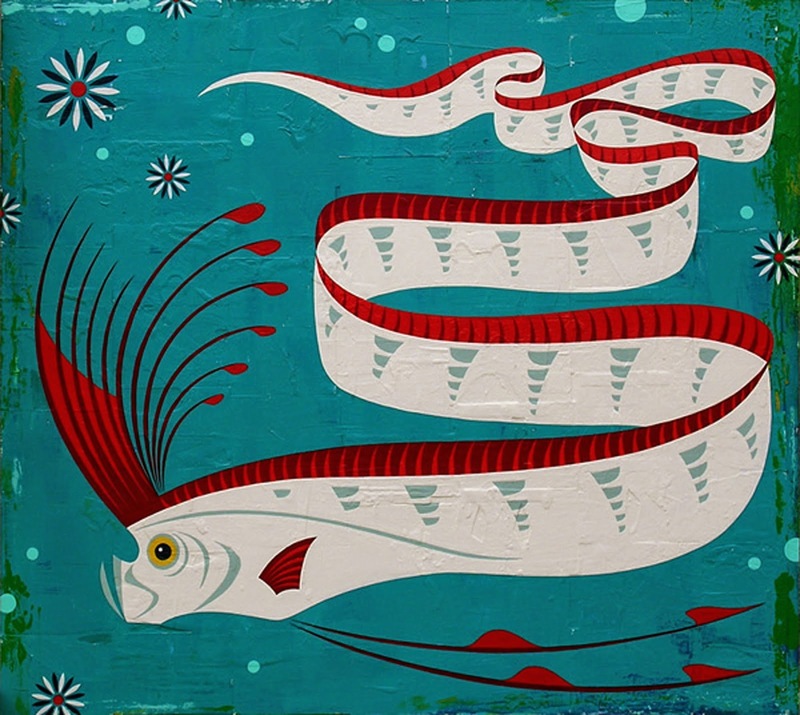 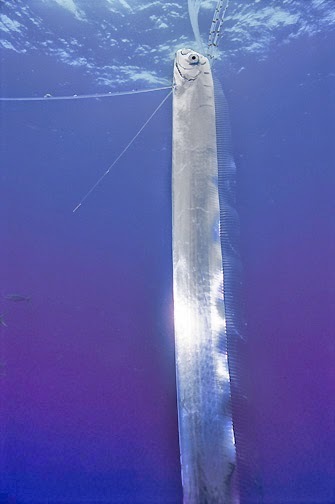 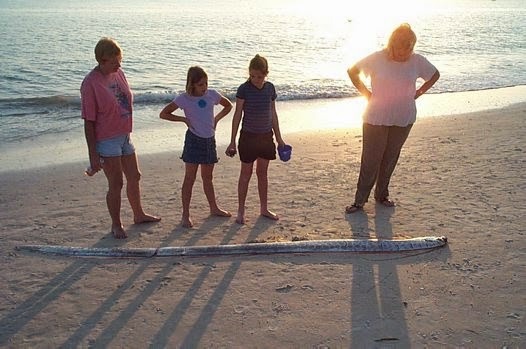 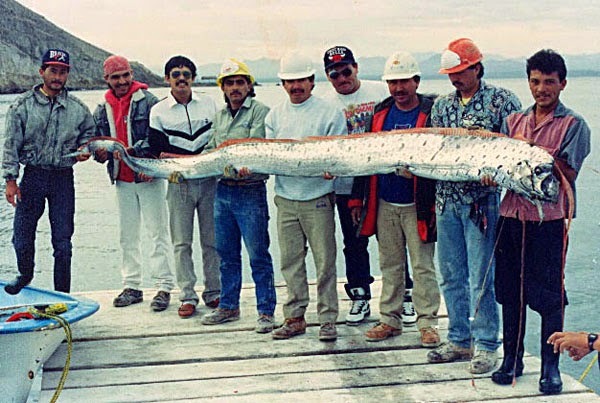 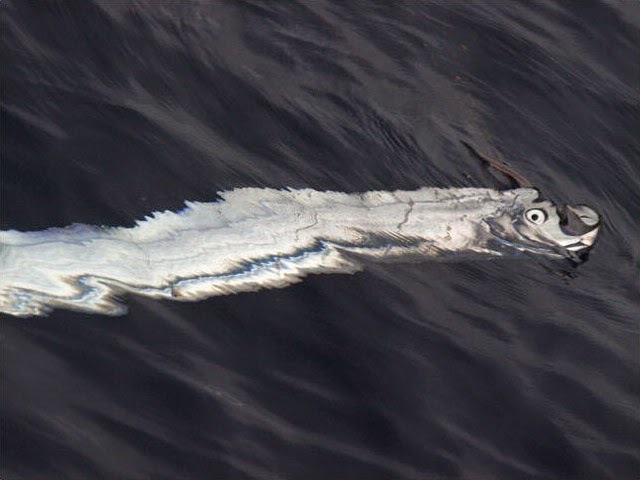 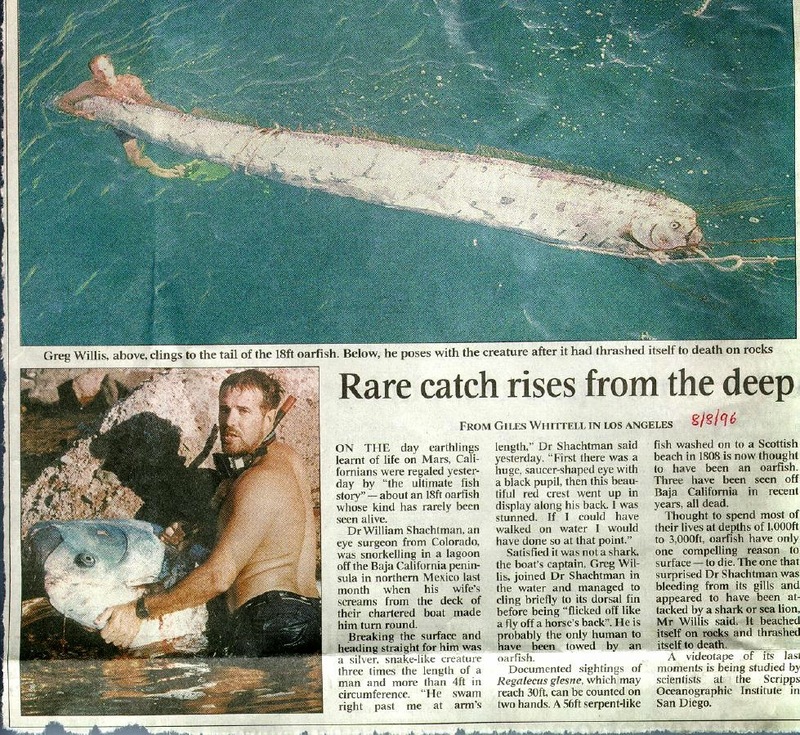 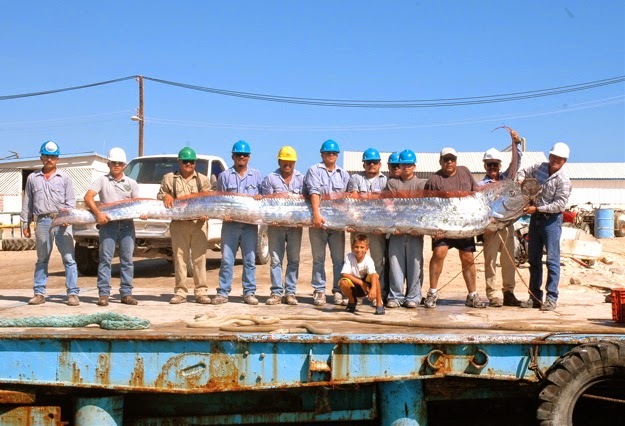 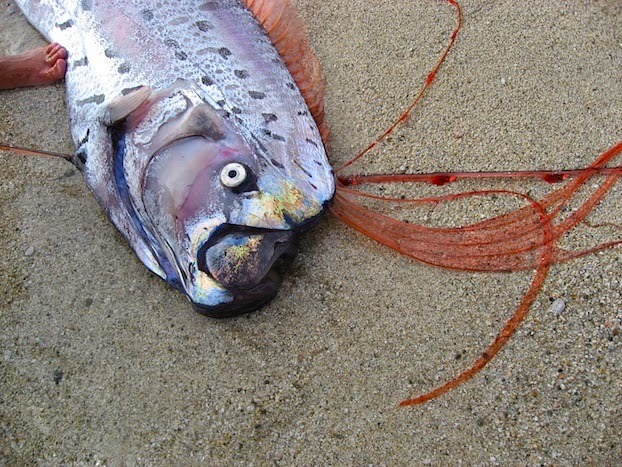 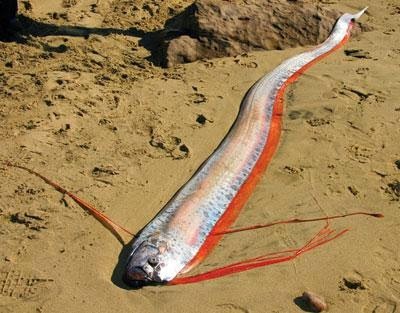 The giant oarfish (Regalecus glesne), also called the king of herrings, is a species of oarfish of the family Regalecidae. 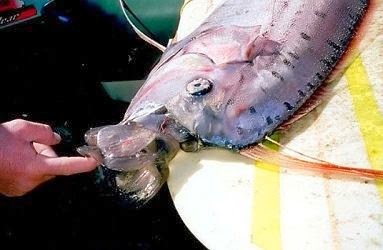 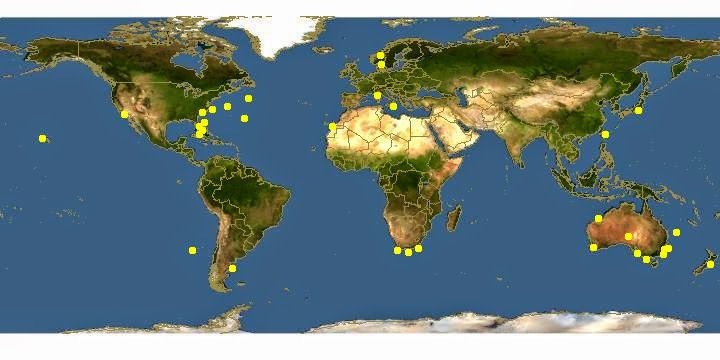 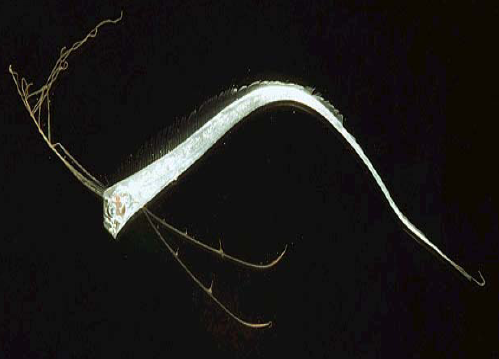 It is an oceanodromous species that has a worldwide distribution, excluding polar regions. 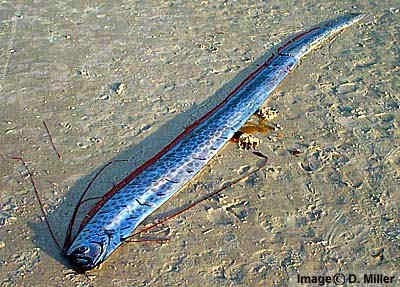 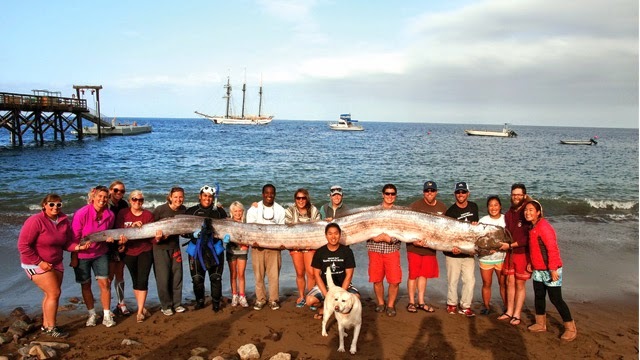 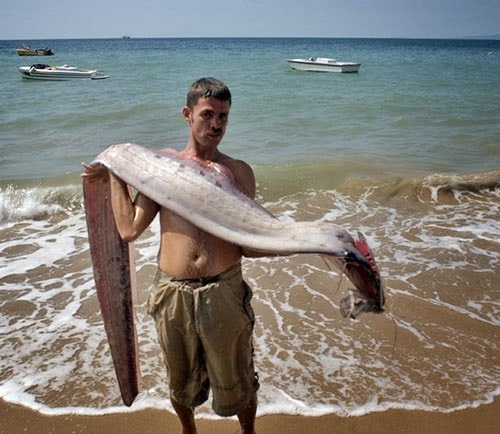 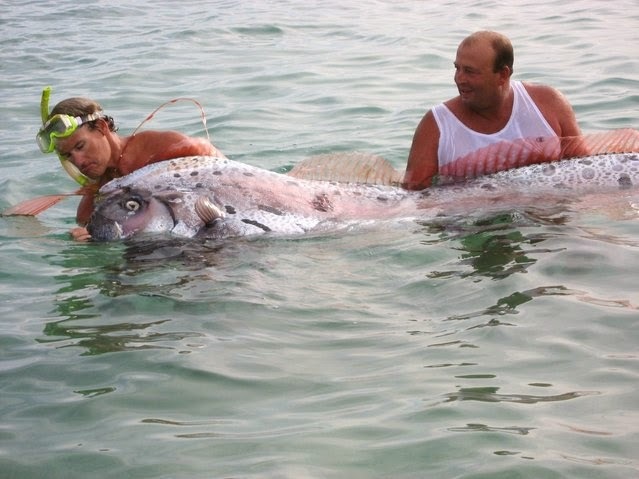 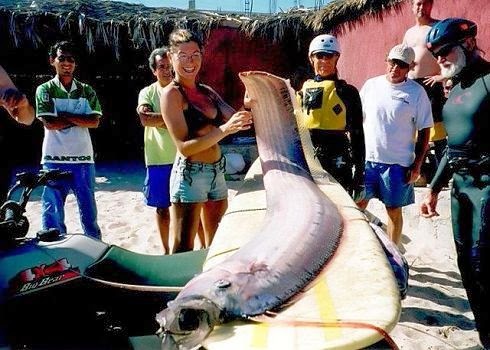 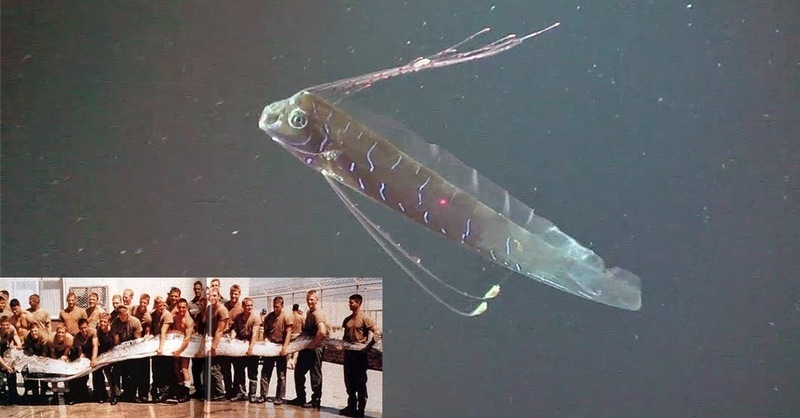 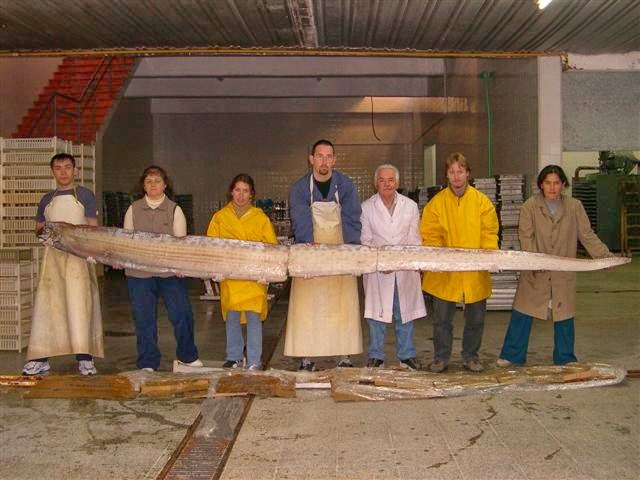 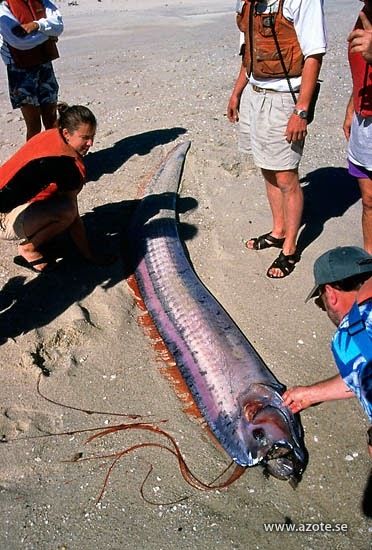 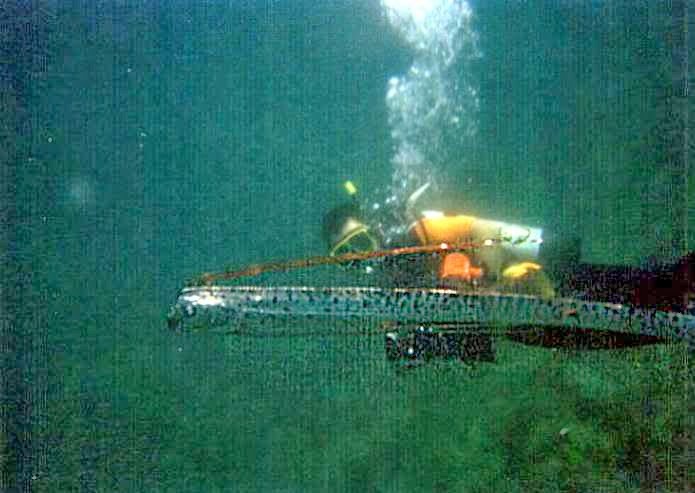 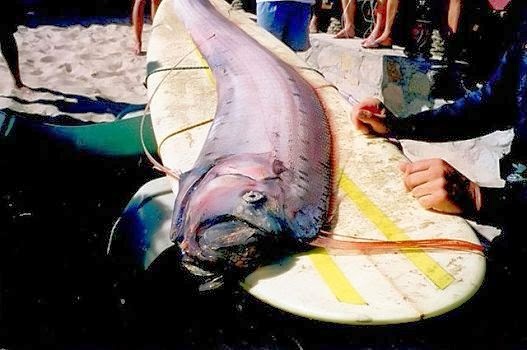 Regalecus glesne is the world's longest bony fish. 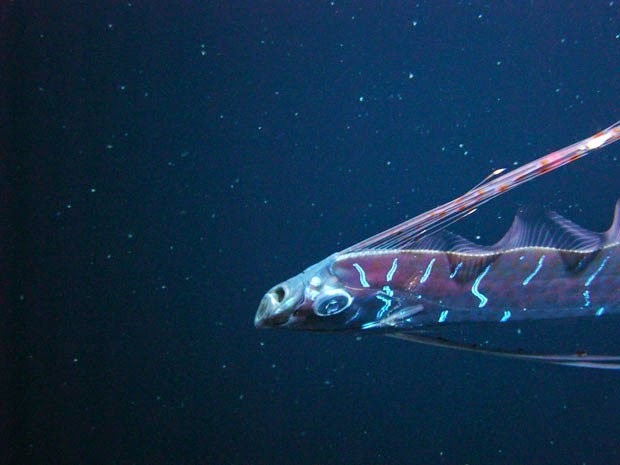 Its shape is ribbonlike, narrow laterally, with a dorsal fin along its entire length, stubby pectoral fins and long, oar-shaped pelvic fins, from which its common name is derived. 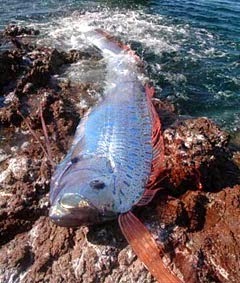 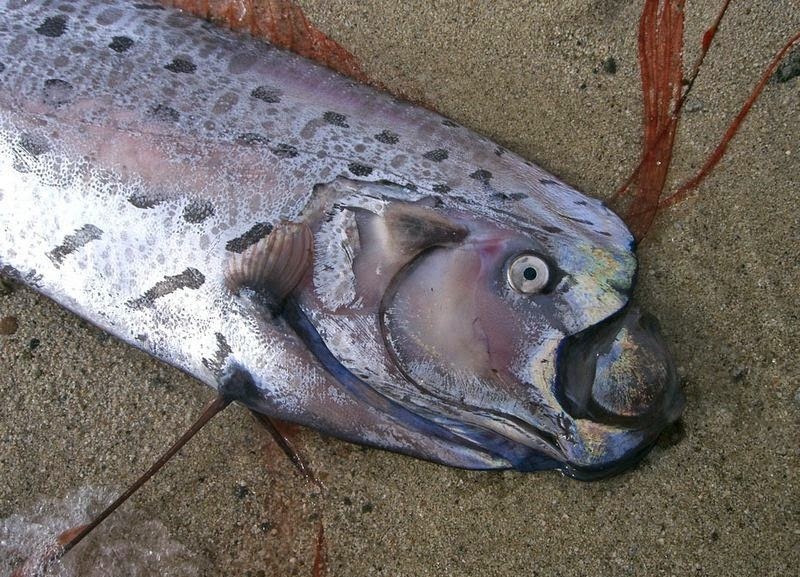 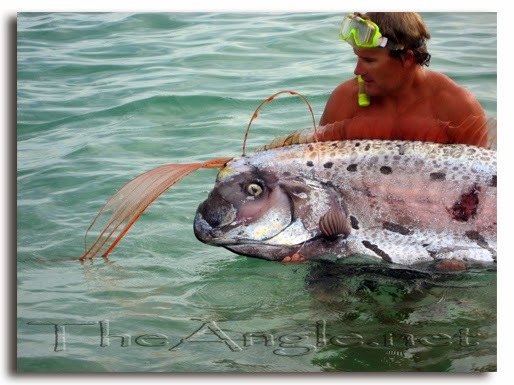 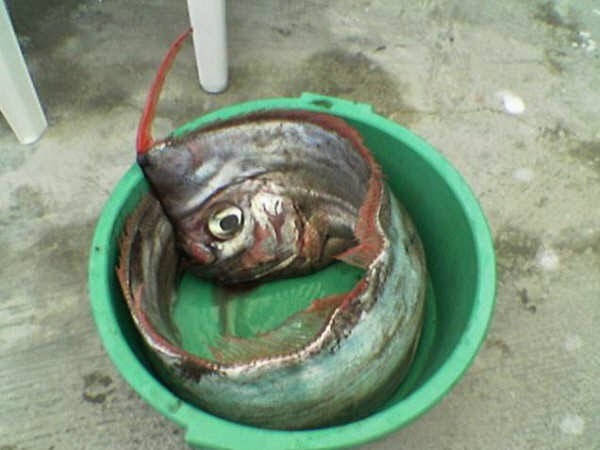 Its coloration is silvery with dark markings, and its fins are red. 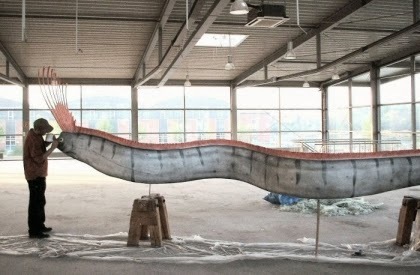 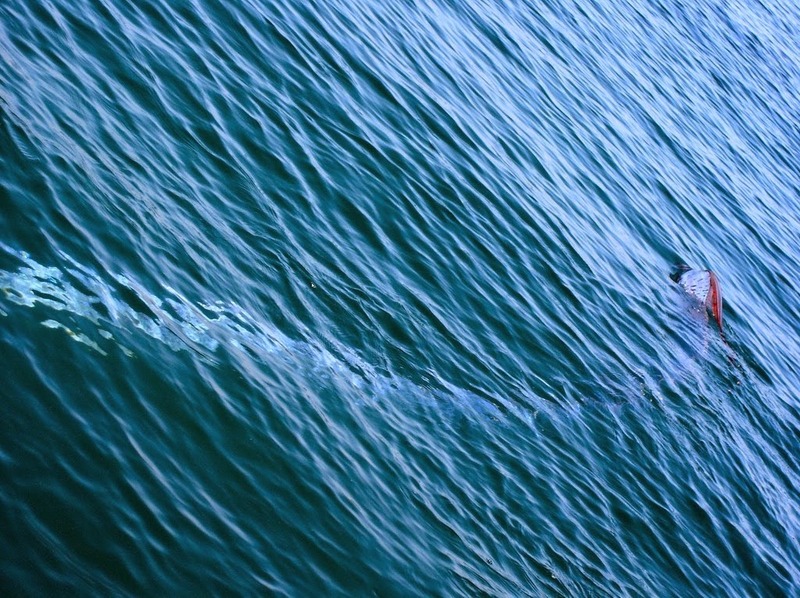 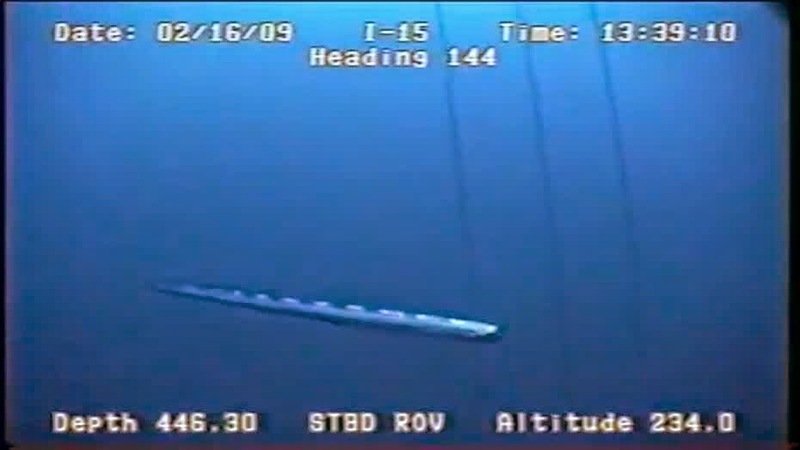 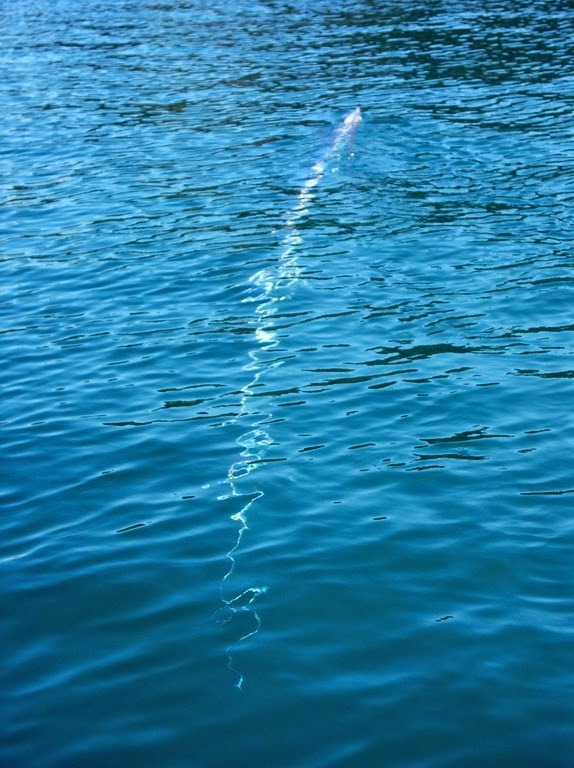 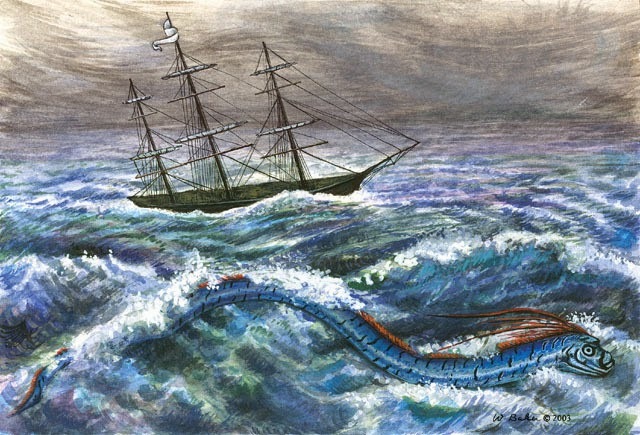 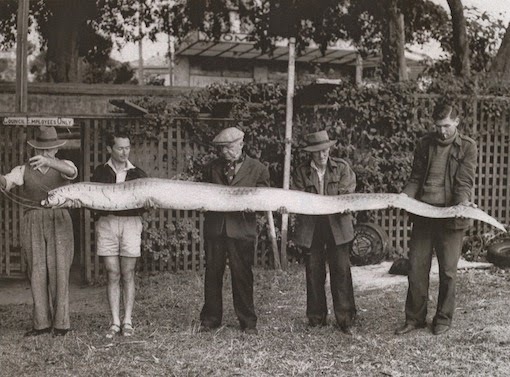 Its physical characteristics and its undulating mode of swimming have led to speculation that it might be the source of many "sea-serpent" sightings.